JPs FX Creations is dedicated in providing an exciting place to be inspired, get good advice and explore many possible ways to tackle projects in costuming (cosplay), prop making and ambitious holiday crafting. Most of the projects here are a showcase of the large body of work I have undertaken over the last 20 years. Here you can learn various sculpting and mold making techniques along with painting, makeup and design. 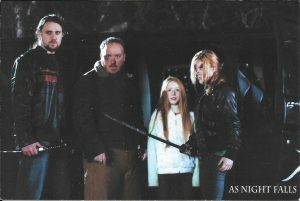 I will continue to exhibit future projects and I confess that I am always learning and open to new ways of doing things. undergraduate program majoring In Animal Science/Pre-Veterinary Medicine. I’d like to believe my studies in the medical field and completed science curriculums helped give me the passion and understanding of Science Fiction and Anatomy which can be seen translated in some of my designs. I applied to Veterinary School once and wasn’t accepted. It’s not uncommon for applicants to be rejected a couple of times before getting approved, but I decided not to wait and then began pursuing my artistic side. 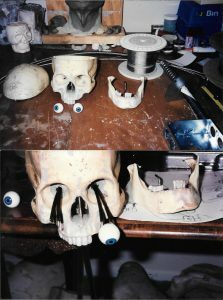 This led me to Florida to chase another dream–Special Makeup Effects (SPFX). Orlando, Florida was supposed to become the Hollywood of the East back in the 1990s but it never panned out. Fortunately, the makeup school I went to is located there and many contacts and opportunities continue to follow. 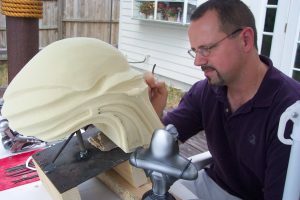 When my makeup career didn’t really take off, I took on the task of set and prop fabrication in the world of Scenic Art, which is a huge industry in Orlando because of the theme parks…(Disney,Universal Studios, Sea World, Ripley’s, etc…). I had an amazing experience with a terrific Scenic company called Artistic Adventures, Inc. There, I learned most of my mold making and casting skills. The owner, himself, has a great eye for detail and incorporates fluid engineering with art. I owe a great deal of my understanding of just about everything prop related to my 10 years there. 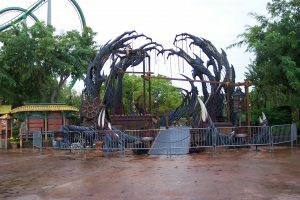 Universal’s Halloween Horror Nights Set at Islands of Adventure by Artistic Adventures, Inc.
I’m currently happy to say that I work for a well established sign company, Vital Signs of Orlando, Inc where my learning of new ways to make “cool stuff” continues. 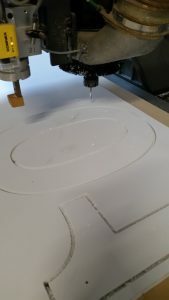 One of the best parts of my job is getting to work with a fascinating machine called a CNC Router (computer controlled cutting machine) where the possibilities are endless. 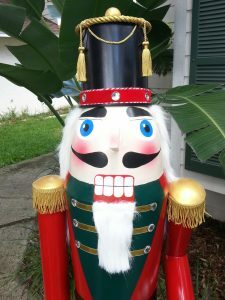 All of the above is the fun stuff I would get paid for, but in my spare time I like to take on projects of my own which includes the holiday decorating portion to this blog. My house becomes a winter wonderland at Christmas and now that my daughter is getting too old for Trick-or-Treating, I’ll probably take on the task of creating the Haunted House on our block since we’ll be staying home and passing out the candy. FUN TIMES!! !